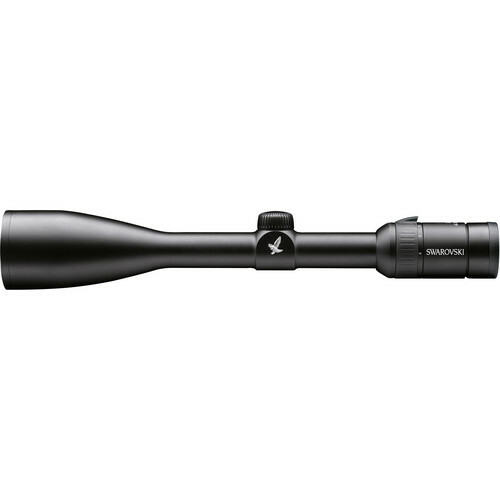 With its large objective lens and powerful magnification, the Swarovski Optik 4-12x50 Z3 BT Riflescope is designed to provide a good look at distant targets even in low light. The Z3 is configured with a 1" maintube a ballistic elevation turret, and a Plex reticle in the second focal plane. The reticle features four long medium-weight tapered posts. The posts stand out well against dark backgrounds while fine crosshairs establish your exact point of aim. The parallax correction is factory preset at 109 yards. SWAROTOP coatings limit light loss to just 0.2% at each air-to-glass surface, while the SWARODUR coating protects the external glass from scratches, moisture, gun oil, and insect repellent. Purged with inert gas, the scope is watertight and submersible to 13'. Box Dimensions (LxWxH) 16.3 x 3.6 x 3.5"